No one ever plans to divorce, but as we all know, divorce is a reality many people face every day. When this happens, many Raleigh area residents find themselves unsure of how to handle the situation. It’s a big change and challenge in your life and our Raleigh Divorce Law Firm and Attorney’s are here to help you. Take a few minutes to review this helpful guide to divorce in North Carolina to you survive the challenges ahead. MOVE OR STAY. If you can safely stay, do not leave the marital home until you have consulted with a family law attorney.In most cases, you will be advised to explore negotiating an agreement before actual separation but that is very dependent upon your circumstances. The key is obtain good legal advice before making that decision. PLANNING SHORT TERM FINANCES. Ensure you have a enough money and access to credit to survive for several months without assistance or contribution from your spouse.Do not count on any joint credit cards or credit accounts remaining open after separation. If necessary, withdraw funds from a line of credit or take a credit card advance. Approach any family members/friends who are willing to help if necessary. UNDERSTAND WHAT YOU BILLS NEED TO BE PAID SHORT TERM. Know that simply leaving the marital residence may leave the mortgage unpaid as the party remaining in the home can neglect the bills for period of time. This requires consideration of many factors including credit, financial ability and income of the parties and whose names are associated with which debts. A skilled family law attorney can help you make the best plan possible. Again, effective planning is imperative. SEPARATE YOUR FINANCES AND COMMUNICATION. Open a separate bank account and credit card if you have not already done so.Redirect your payroll if necessary. This does not necessarily mean withdrawing from participation in household expenses and bills, however you will need control of your finances away from a joint account. Open new and private email addresses and a P.O. Box for mail. PREPARE FOR LEANER FINANCIAL TIMES. If your spouse is the primary breadwinner, prepare to be cut off financially even if you think that would be unlikely. If you are the breadwinner, prepare for potential additional expenses of helping support two separate households (depending on the circumstances).Regardless of who has done what to whom and whether anyone is going to have to pay or receive alimony, the reality is certain bills will need to be paid and the considerable expenses associated with moving out and establishing another household will make the finances more challenging.Always remember in the event you and your spouse cannot come to a short-term agreement to share some financial responsibilities, it will typically take 2-3 months minimum to get into court for a post-separation support (like alimony) and/or child support hearing to force a spouse to pay. 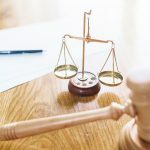 A claim to divide marital debt before trial in the form of a Motion for Interim Distribution can be scheduled as well but it will also take a few months before it can be heard by the Court. The KEY is to have a financial game plan ahead of time if at all possible. KNOW THE FINANCIAL DO’s AND DON’TS. Do not just cut off a dependent spouse if you make the most money. It could wind up resulting in arrears and large attorney fee awards (you having the pay the dependent spouse’s attorney’s fees).If there are children, you need to pay a minimum child support amount no lower than the North Carolina Guideline child support amount absent written agreement to the contrary. If you are dependent on your spouse’s income and they make most of the money, do not go and spend extravagantly and live like you want thinking that your spouse will have to pay for it. They may not, and a Judge may find such spending wasteful and you could do yourself a great deal of harm. COPY AVAILABLE FINANCIALS. Obtain copies of all accessible financial records paying special attention to retirement statements, financial accounts and loan documentation.Prior years tax returns are especially valuable in evaluation. THINK THINGS THROUGH. Think and plan your next moves in advance.If you are planning to move out, consider the following:- Where will you live? – Is there a waiting list? – How soon could you move in? – What would you do in the meantime? – Will there be room for your children? It can be tempting to rent a one or two bedroom apartment at first as a temporary measure just to “get the ball rolling” but understand that if you do not have enough bedrooms for your children it may be used against you by your the other parent when negotiating custodial terms. Consider of course what you can afford and whether they shared a bedroom while you were together. PRACTICAL DECISIONS. If you are moving out, consider practical factors affecting your divorce and not just the expense.- What is proximity to your child(rens) school/daycare? – Does your work schedule allow time to ensure everyone gets to school/work on time? – Can everyone be picked up on time? – Will you need before or after school care?Have you allowed for that in your projected expenses (understanding that it may be share later but we cannot count on that in the beginning). ENSURE YOU WILL HAVE REPRESENTATION TOO. Have you budgeted intelligently for attorney fees?Attorney fees vary wildly in some cases but have you allowed for the expense in your planning?Here again it is imperative that you not COUNT ON coming to an agreement without attorneys or for minimal expense. Doing so will force you to compromise where perhaps you shouldn’t or go unrepresented in an extended negotiation, mediation or litigation. If your spouse is the breadwinner, work hard to arrange access to funds from other sources in the short term at least. Consult with some local divorce attorneys and obtain frank estimates for representation for simple negotiating as well as protracted litigation so you will be informed. NO HANDSHAKE DEALS. DO NOT accept a verbal agreement as they unenforceable and will not recognized. DO NOT JUST LEAVE THE KIDS AT HOME. 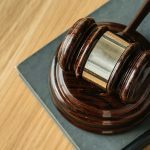 DO NOT leave your children in the marital home without some sort of formalized agreement for shared custody(absent emergency or safety concerns).You will often be accused of abandoning them and it can be hard to force visitation at that point, requiring you then to wait months for a Court hearing. OBTAIN REAL LEGAL ADVICE. Consult and work closely with your local divorce attorney to set reasonable goals and make sure you have a PLAN to achieve them. UNDERSTAND WHATS AT STAKE AND BE SMART. Creating a new life successfully takes time, planning and guidance from experienced divorce professionals.Do not try to figure it all out on your own. Certainly do research and become as educated as you can, however understand that a separation and divorce can be very complicated and certainly traumatic. Your entire financial future is at stake and the custody of your children.At a minimum, seek a thorough consultation with a local family law attorney for guidance as early in the process as possible. 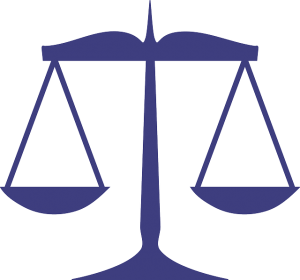 Do you Need Legal Assistance With Your Raleigh Divorce? As you can see, divorce is an extensive process and you should do everything it takes to make good decisions. Putting yourself in a bad position during and after your divorce can be avoided with proper legal representation. Call us at 919-301-8843 to get started or fill out the form below and one of our Raleigh Divorce Attorneys will assist you as soon as possible.